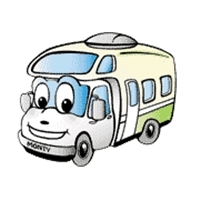 To help make your Thanksgiving special, we have an rv rental special for you! For pickups for the entire month of November, rent for 5 nights and get the 6th night free! 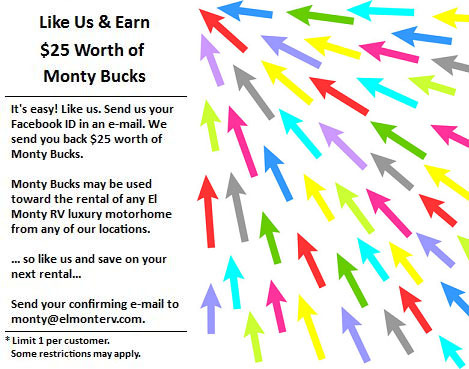 This offer is valid at all locations and all models except diesel pushers and trailers. Make plans to get away now, as Thanksgiving rentals go quickly! You'll be glad you did! The Advocare 500 race at the Phoenix Int'l Raceway on November 9! The Ford 400 race at the Homestead-Miami Speedway on November 16! 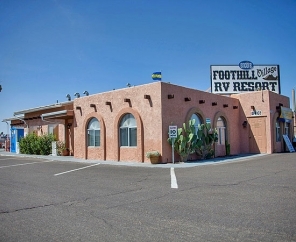 Our featured Campground of the month is the Foothill Village RV Resort in Yuma, AZ! 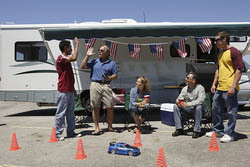 Foothill Village RV Resort is located in the East Yuma area known as The Foothills. They are a small, friendly, clean resort of 160 sites with a BIG resort atmosphere. 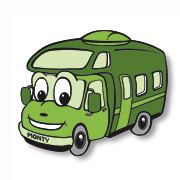 The location of this Yuma RV resort is an easy walk to restaurants, beauty and barber shops, a small fully stocked grocery store and dancing at Mickey B's. The library, post office, 3 golf courses and Walmart are within a 5 mile radius. Foothill Village RV Resort offers lots of amenities such as shuffleboard, billiards, hot tub, swimming pool, bingo, crafts, exercise classes, potlucks, Saturday breakfasts, ice cream socials, water aerobics, card games and wi-fi. If they can't keep you busy enough, there are two casinos, swap meets, garage sales, Yuma Palms Mall and Mexico just a short drive from here. 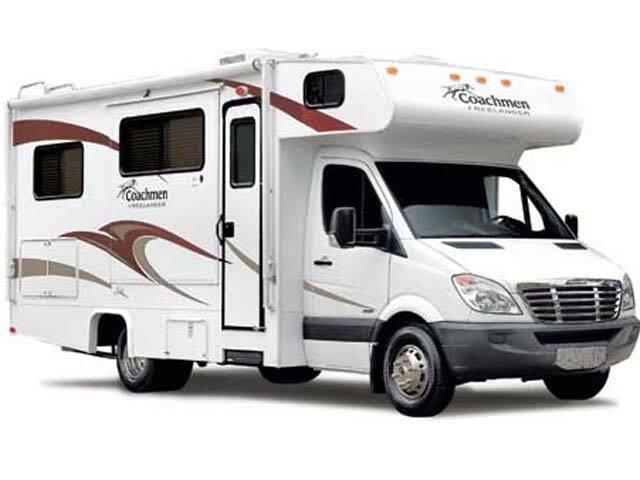 We have a location in Phoenix, AZ that makes the trip to this campground a breeze. If picking us from a different location is more convenient, please check out our locations map. 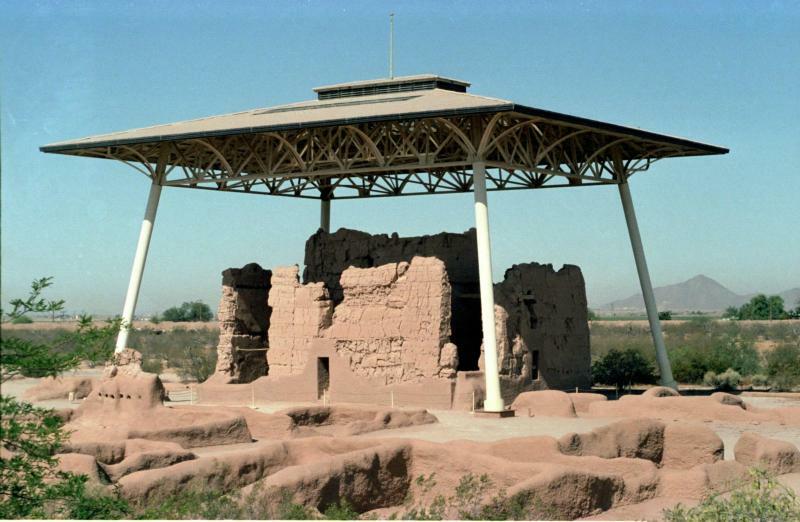 Believed to have been abandoned in 1450, the Casa Grande, or "Large House" is thought to be one of the largest prehistoric structures in North America. It wasn't until 1694 when Padre Eusebio Franciso Kibo toured the area that the ruins began to gain attention. Proclaimed Casa Grande Reservation by an order from President Benjamin Harrison on June 22, 1892, Casa Grande became the first prehistoric and cultural reserve in the United States. President Woodrow Wilson gave the ruins status as a National Monument on August 3, 1918. Guided tours are available from late November thru April, depending on staffing. Please make sure to read the page on Planning Your Visit while planning your trip as well as the page with advisory information on the www.nps.gov website for this park. Your favorite topping (or combination of) such as: chocolate chips, marshmallows, peanut butter chips, etc. ~ Slice unpeeled banana lengthwise. ~ Wrap in foil and cook over hot coals or on a grill for approx. 10 minutes. ~ Open up carefully and eat with a spoon!